Living in Turkey, some things that I had incorporated in my daily diet are no longer as easily accessible as they used to be. One of the examples: almond butter. We love peanut butter and almond butter in this household, and peanut butter is even more of a rarity since we share with our little pup! And since we went to the organic market last weekend and bought over 1 kg of almonds, we home-made some almond butter! It is actually very very simply, all it requires is a bit of patience. Personally, I multi-tasked with the food processor on and recommend for example reading a nice book on the side. 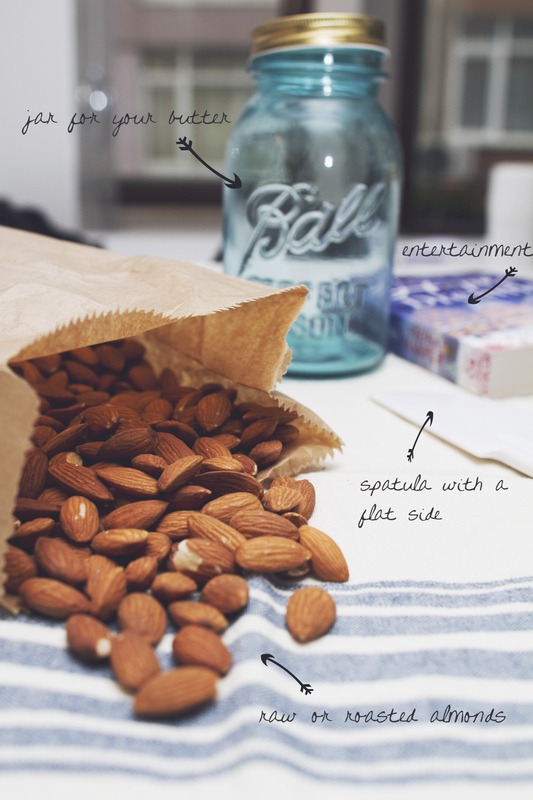 Yes, all you really need is almonds. You can use raw or roasted almonds. I’ve heard that roasted almonds are a bit quicker to turn into butter, but I have used raw ones. Some people also like to add a bit of sugar, but honestly I prefer it pure! 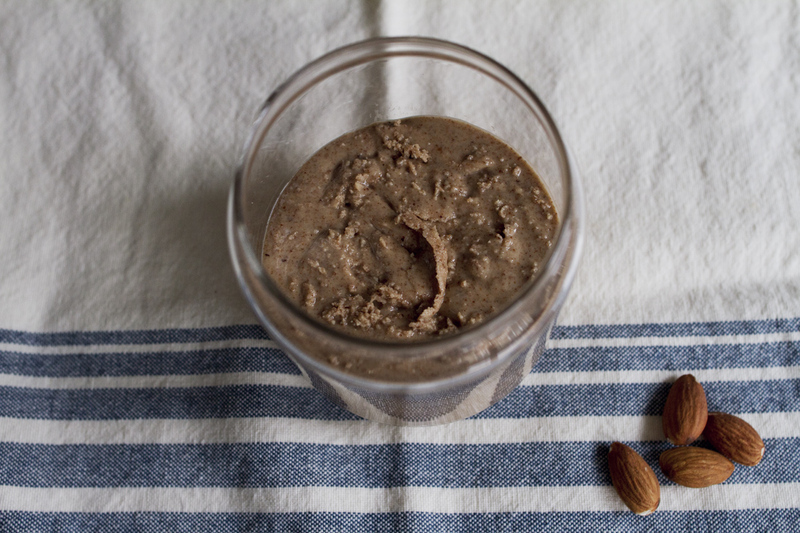 This almond butter is so gluey rich and good on its own already, why add sugar? All you need to do is blend. It will start turning into ground almonds first, then morph into play-dough like consistency before turning into the gluey wonderful almond butter! All you need to do is blend almonds and have patience! For a 9 cup blender, I put in batches of 3-4 cups of almonds. It takes about 25min each and occasional stirring. 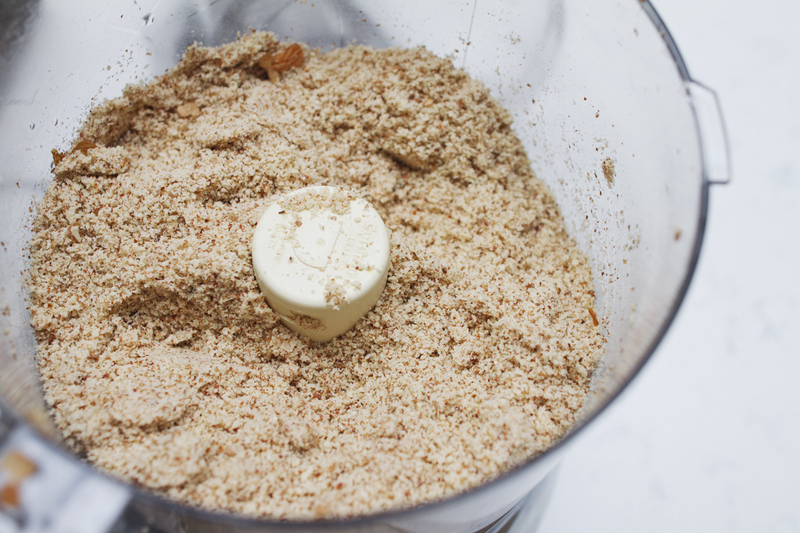 The almond paste will sit on the outside of the blender in the process, so stop the blender every now and then stir up the powder, dough, paste. 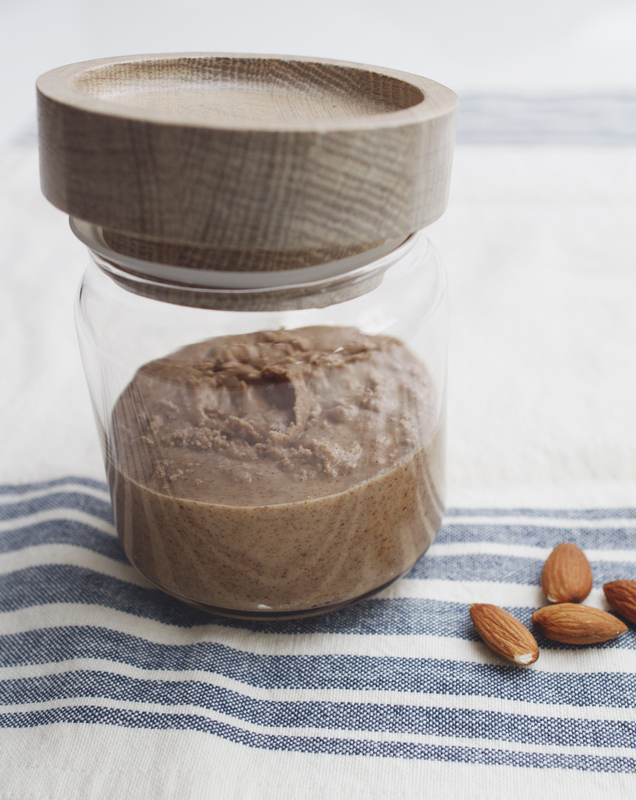 Posted in Little TreatsTagged almond butter, almond butter recipe, almonds, farmers kitchen, homemade food, I love my kitchen, kitchen stories, nut butter, organic almonds, organic recipe, raw food, raw food recipesBookmark the permalink.